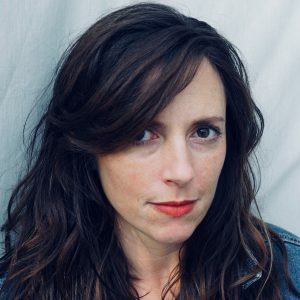 Jessica Mesman is the author of four books, including Love and Salt, which one the Christopher Award for “literature that affirms the highest values of the human spirit.” She also edits Good Letters, the Image Journal blog, and hosts the Image Podcast. She’s currently at work on a new memoir about generational trauma, time travel, and Catholicism in southern Louisiana, called Eden Isles. Jessica is cultural columnist for US Catholic Magazine, where she has written about David Bowie, Green Nuns and Stranger Things. She often writes about the intersections of faith and psychology and creativity. She is the Director of Artistic Collaboration for Revolution of Tenderness, and founder and curator of the blog Sick Pilgrim, a space for fellow travelers, a rest stop for creative people who have Catholic minds or hearts or aesthetics or attractions or repulsions. Her articles and essays have also appeared in Elle, Image, America, Christianity Today, Notre Dame Magazine, Busted Halo, and Living Faith, among others. She was a long-time writer for the Image blog Good Letters and the former managing editor of the literary magazine Creative Nonfiction, where she teaches a regularly offered course in spiritual writing. She’s an affiliate faculty member at Christian Theological Seminary in Indianapolis and in the Convivium School. Jessica is the co-founder of Trying to Say God: Re-enchanting the Catholic Imagination, a literary festival at the University of Notre Dame. She has spoken about spiritual writing and literary nonfiction at colleges and universities, the Festival of Faith and Writing, the Associated Writing Program’s annual conferences, and the Neiman Conference for Narrative Journalism at Harvard University. She has appeared as a guest on NPR’s Interfaith Voices, CBC’s Tapestry, and on various shows for Relevant Radio and Sirius/XM The Catholic Channel. Jessica has an MFA in creative writing from the University of Pittsburgh. She was then one of ten scholars selected by Patricia Hampl to complete a post-graduate Fellowship in the Erasmus Institute for Spiritual Autobiography at the University of Notre Dame. She is a member of the George Sandinistas and Ink: A Creative Collective of writers on spirituality and religion and is represented by the MacGregor Literary Agency.